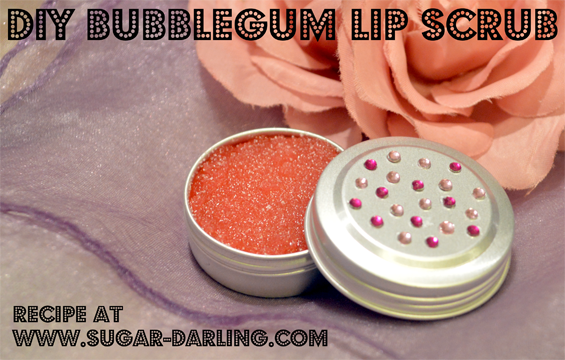 DIY Bubblegum Lip Scrub Recipe - Sugar, Darling? I don't know about you, but my lips get awfully dry this time of year. I really haven't helped matters recently by being on a matte lipstick kick and wearing them nearly every day which can seriosuly deprive your lips of moisture to keep them plump and soft. To remedy this I wanted to grab myself some lip scrub but sadly the store I visited had run out of the flavour that I'd wanted. Never fear I thought, I'll just try making some myself! Truth be told I actually like my version better and it was literally a fraction of the cost to make as I had all the ingredients in my store cupboard - if you don't have the necessary bits and bobs the whole lot shouldn't cost you much more than a single pot of the store bought stuff but you'll have enough ingredients to keep making it for a really long time! It's a super simple put everything in a dish and stir situation and I used a little tin that I had originally held a lip balm which I had finished, so I just gave it a wash out. 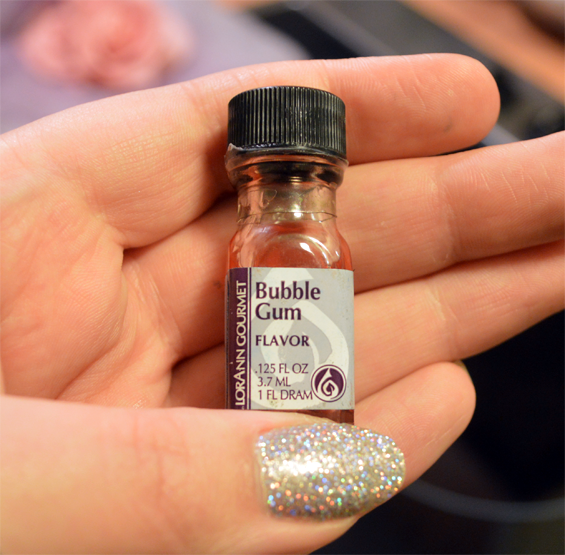 I thought the tin looked a little dull so I grabbed some little gems which are meant to be used as nail art details and stuck them on with a little craft glue. I think it looks ever so pretty and would make a perfect little present for someone! Place the sugars, oil and honey into a small dish and mix until thoroughly comnbined - you only need a tiny drizzle of honey as its just to stick it all together a little better. When mixed add the flavoring and colouring and stir again until completey combined and then spoon into your tin. To use take a small amount on your finger and rub it over your lips for about 30 seconds. Don't be too harsh now, you only want to remove the dead dry skin and let the oil soften your lips. Now either wipe the scrub off with a damp tissue or lick it off your lips - it's completely edible after all! Now you can either pop on some lip balm for extra softness or if you were using this to smooth your lips before applying a lipstick go ahead and add your chosen lip colour.